“The United States Botanic Garden is pleased to announce the return of their popular American Roots Music Concert Series for 2017. The summer concert series, which the USBG first offered in 2015, celebrates American roots music – Americana and folk, country, blues, jazz, and zydeco. 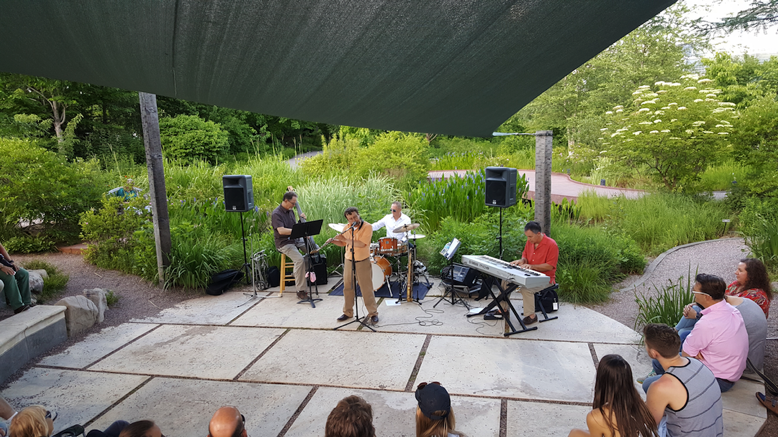 Concerts June through August will be held outdoors in the National Garden Amphitheater surrounded by the beautiful Regional Garden of native plants (rain location inside the Conservatory in the Garden Court). The USBG continues to celebrate the 10th anniversary of the National Garden, which opened in 2006. All concerts are free of charge. Amphitheater seating is available on a first-come, first-served basis. Check www.USBG.gov/RootsConcerts for information about the artists and visiting the USBG.